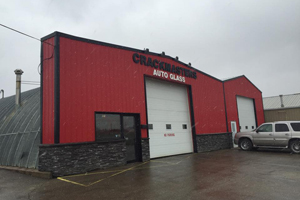 Crackmasters Auto Glass began in St. Albert, Alberta, Canada in 1994 with just one employee. Since then, we’ve grown into a network of more than 60 Crackmasters Auto Glass repair franchises throughout Canada, plus one location in New Zealand. We provide the best windshield repair and replacement services in the world! Damage to your windshield compromises your vehicle’s structural integrity. Crackmasters is the only company in Canada that can fully restore the structural integrity of your auto glass. We won’t simply try to stop a crack from spreading or fill it with resin that won’t hold in an accident, we’ll fix the crack and do so for far less than the cost of auto glass replacement. If we can’t fix your damaged windshield, nobody can! In those cases, our certified auto glass technicians will professionally install quality, OE replacement auto glass for a great price and warranty it for life. Crackmaster Distributors, Ltd. offers a variety of franchise opportunities to help you expand your offerings and improve the level of service you can provide to your customers. Call 888-349-2729 or email us for more information about any of these opportunities. Be sure to continue checking back here for more news and updates from Crackmasters!